Atomic tribes (sometimes known as Automatic Tribes) are a special kind of tribe owned by Triberr premium members (aka Primes) where only the Chief's content is shared. ATs make sharing completely frictionless, but they are not for everyone. They are really only for superfans and employees. So, what is the right way to invite someone into your Atomic Tribe? 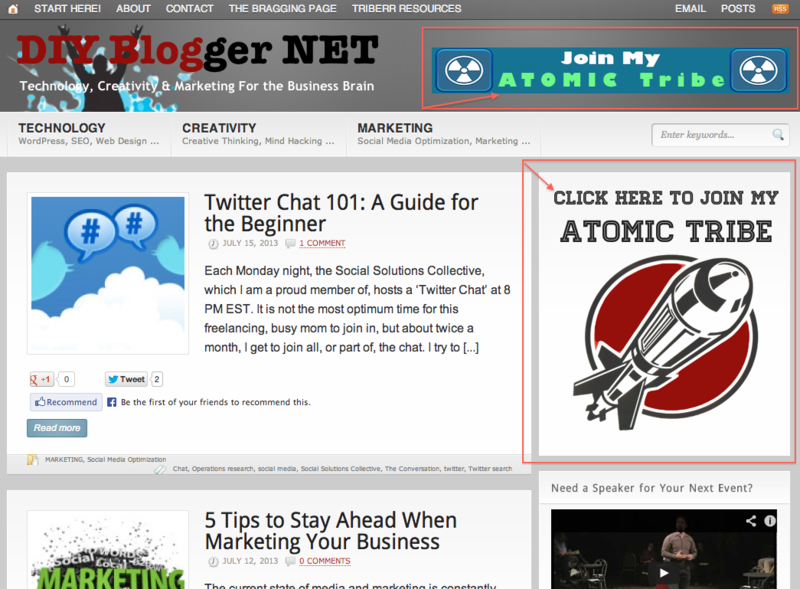 Or you can adorn your blog with call to atomic action like so. 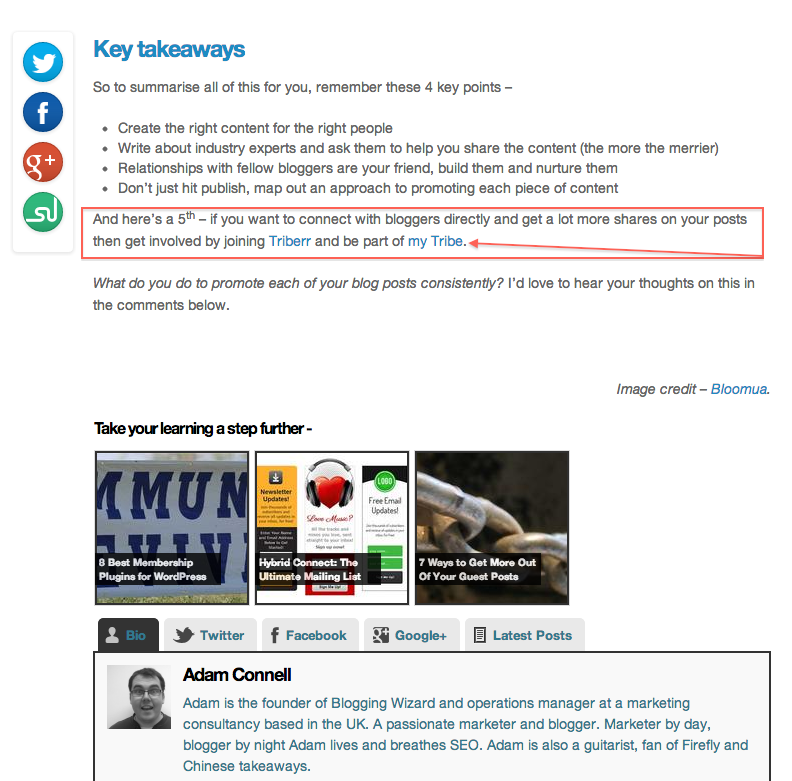 Emailing your list and asking them to join your Atomic Tribe is perfectly acceptable, as long as they understand only the Chief's content gets shared. Those are just some of the ways in which you can build your AT. 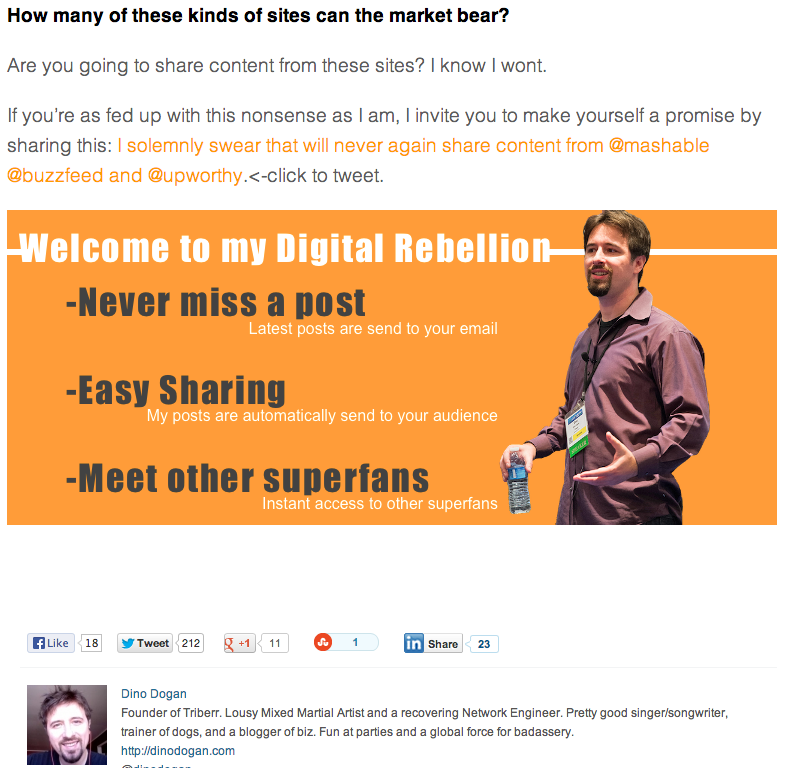 So, pretty much anything goes as long as your audience knows what they're signing up for. And since ATs are a new thing, the onus of responsibility of explaining its powerful features is on the owner, aka the Chief, of the tribe. 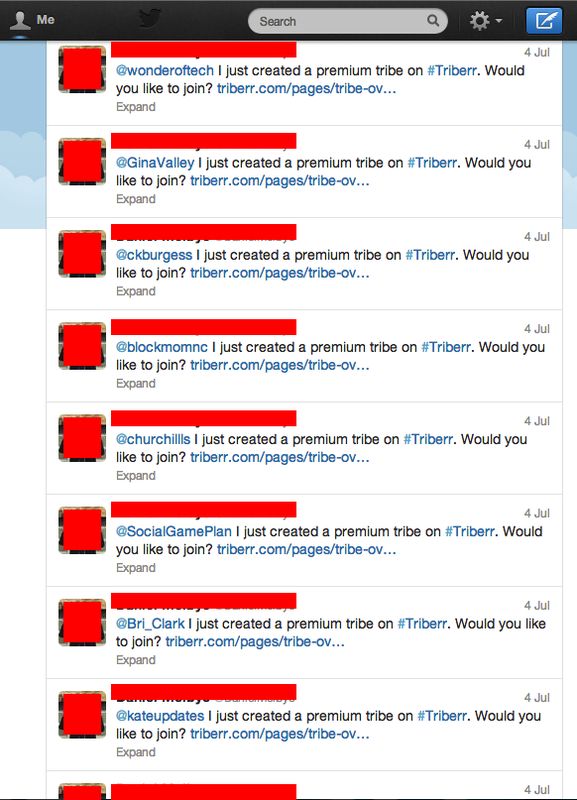 The wrong way to invite someone to your Atomic Tribe is to tweet them to join your "premium" tribe. People seeing those tweets will assume it's a regular tribe and will join. In fact, the reason I'm writing this post is because my girlfriend joined one such tribe. The life of a Startup Founder is glamourous until your girlfriend yells at you for not building your platform "the right way". So you can go thank Jillian for me writing this post. Speaking of Atomic Tribes, I would appreciate it if you considered joining mine. Click to learn more.